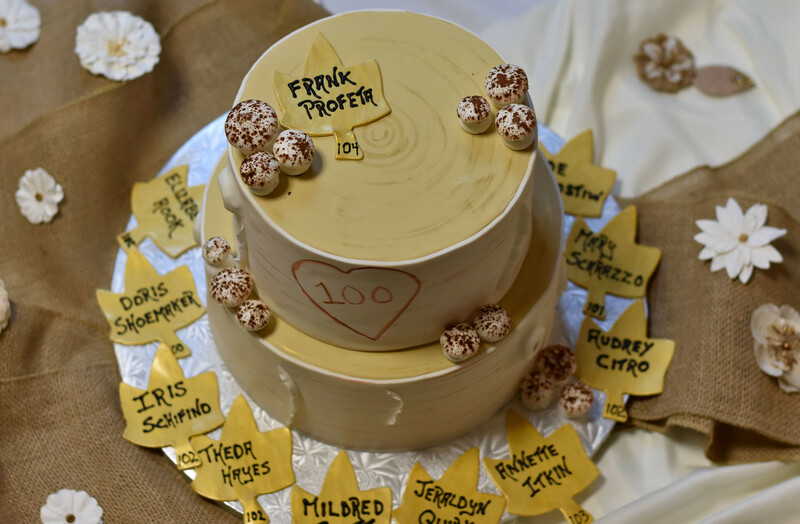 Eleven centenarians gathered together with their family and closest friends to enjoy an afternoon of great food, music, and good company. Residents ranged in age from 100 to 104 tallying up to over one thousand years total. “I don’t feel like I’m aging at all,” states resident Doris Shoemaker (100). “I can’t dance a fancy dance anymore, but I’ve enjoyed being part of this wonderful life.” Doris also explains that helping others and staying positive can help one to live a long and healthy life. For 102-year-old Jeri Quirk, it’s about associating with the younger generation and keeping busy. Her words of wisdom? “Keep in touch with your past and listen to others.” Jeri also enjoys her crossword puzzles, reading, and playing bridge.